These plates provide quick and effective protection for both people and the working environment from the hazards of sharp, steel scaffold bases. Please note that these plates have been cleverly manufactured in order to be suitable for all scaffold systems and are fully load tested. (Sold individually, in packs of 10 and in packs of 100). 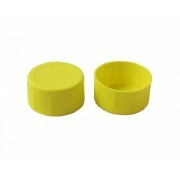 These scaffold safety caps are highly visible and can be applied to the exposed ends of scaffold tubing to protect the fabric of the building as well as the public from sharp edges. 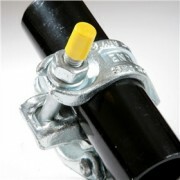 They are simple to install and do not interfere with the scaffold in any way; they are also an important health and safety requirement. (They are sold in packs of 100, 200 and 1000 with prices ranging from £9.10 to £66).